Once taster sessions are complete class fees are paid monthly and are per family not per gymnast. Once taster sessions are complete class fees are paid monthly or as a pay as go rate. Paying monthly guarantees you a space and is at a lower session rate. Pay as you go - if you wish to drop in but this method will be on a first come first served bases. £5 - per "bouncer" (yup, parents you can bounce too) - This is a pay as you go class. Book a class. This is £15 for the Toddler and £20 for the Parent. 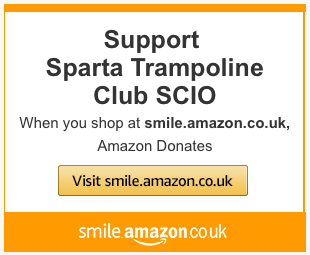 Annual Membership to the club includes SG membership and insurance. 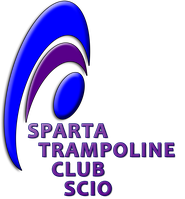 Sparta Trampoline Club's membership year runs from 1st October 2018 to 31st August 2019. Taster sessions payments can be made by cash, cheque, BACS or PayPal. Classes/Sessions must be paid in advance via Standing Order or PayPal. Competition entry fees, kit orders or summer sessions will be charged on top of these payments.